Welcome to Golf Shores Fun Center! Come rain or shine Golf Shores Fun Center is open every day to provide you with fun for the entire family. 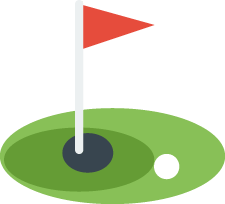 Our mission is to provide a place for children of all ages to relax and enjoy a quality miniature golf experience, a birthday party, a video game, or just a hot dog and a soda. Our challenging outdoor Mini Golf course is open year round (weather permitting). If you're looking for some added excitement try our indoor Mini Golf course. Play the indoor course like you’ve never seen it before by purchasing a pair of optional 3D glasses for a real challenge! (The glasses cost $1 and are yours to keep.) Our scorecards for the indoor course are now yellow and the scores cannot be seen without the aid of a blacklight. Also enjoy our classic arcade games and our snack bar. Items available at our snack bar include soft pretzels, specialty coffees and teas (including chai tea, espresso, lattes and cappuccinos) and stay connected with our Wi-Fi lounge offering free Internet access for our guests. Planning a Party? We know the Perfect Place! 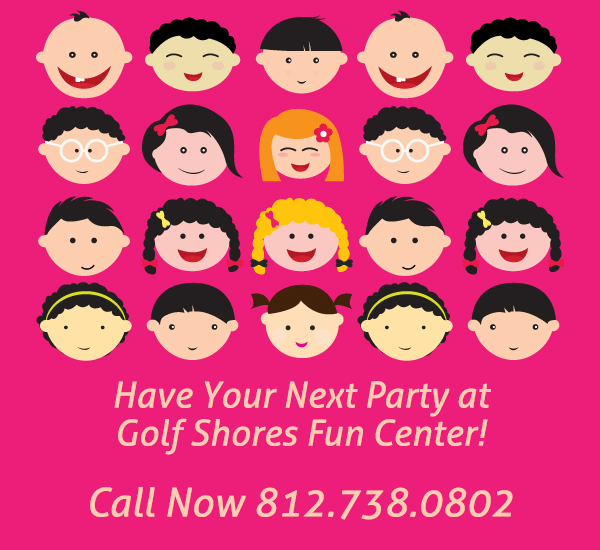 Contact Golf Shores Fun Center to schedule a birthday party or other special event in one of our Party Rooms. Our Jungle themed party room can accomodate up to 15 guests, our Long Room can accomodate up to 25 guests and finally our Banquet Room will hold up to 100 of your friends, family and special guests. Contact us today to reserve the date of your special celebration. Call 812-738-0802.